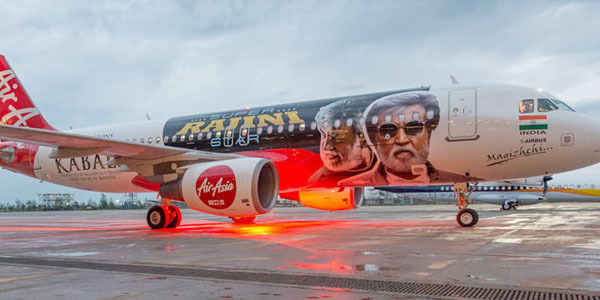 The producer of Kabali has pulled off an incredible publicity by promoting Kabali on Air Asia flight. It's probably first of it's kind happening in Asia. and two domestic flights traveling to and in India are getting ready to promote Kabali film. Here are the pics of one such flight! Rajinikanth, Radhika Apte, Dhansikaa, Dinesh, John Vijay, Sampath and others are playing main lead roles in Kabali film is all set to entertain audience from July 15th. Pa Ranjith is the director and Kalaipuli S Thanu is producing this action entertainer.